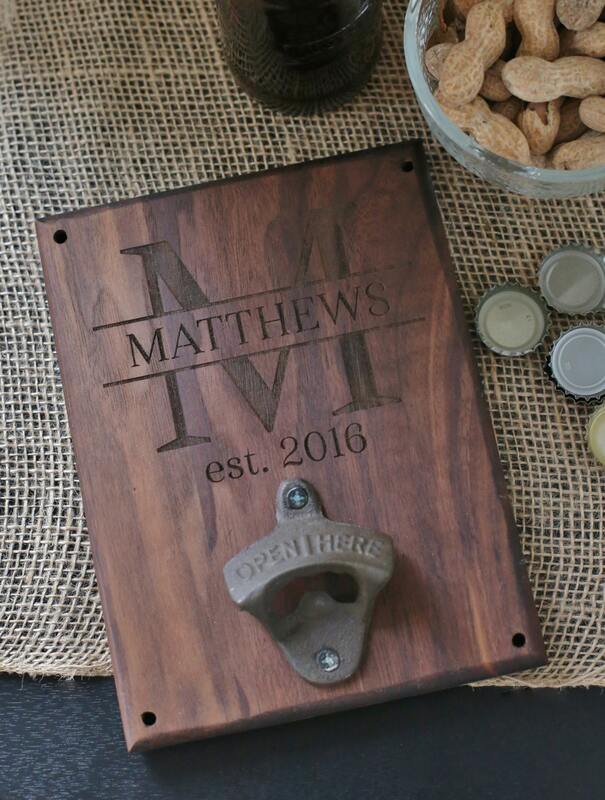 For sale is a beautiful wood bottle opener. Completely custom made to order pick any one initial, any last name, and any year. All other text included as shown. Created from rustic pine with a dark walnut finish. Pre-drilled holes for easily securing to nearly any hard surface that can be drilled. Measures 8" x 6" x 1/2"
4) NEED A RUSH ORDER?